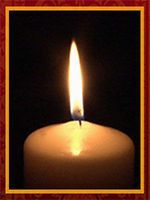 Linda Lou Wood(Johnston), of Lancaster PA, formerly of Ithaca NY, passed away on November 18th, at the age of 68. Linda was a beloved employee of LANCO Federal Credit Union. Linda’s life revolved around her grandchildren: Anthony Smith, Ciera Mike, Anna Mike, Nora and Nolan Wood (Emily Kapferer), Jake Mike, Kalen Wood, Kensey Wood, and great-granddaughter Ruby Canterbury. She is still loved by: her husband Gary Whispel, sons: Tyler Mike (Melissa), Josh Mike (Stacy), Brandon Wood (Emily), the father of her sons (Keith Wood), her siblings, nieces, nephews, and many extended family and friends. Linda is now joined with her beloved son Cody Wood and mother Zelda Johnston. Linda requested no service be held. Instead memorial donations can be made in her memory to Good Grief (good-grief.org). You will always be in my heart, Linda. Thank you for a friendship I will never forget. My deepest sympathy to your family, you will truly be missed. Gary and family we just heard about Linda’s passing we are so sorry. Praying for your family. She was a sweet lady we enjoyed knowing her .